Exhausts for gen 1 ????? Quote Reply Topic: Exhausts for gen 1 ????? I've been trying for a while to find a decent second hand replacement for the original. 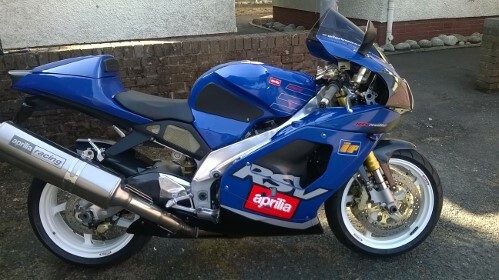 Unfortunately, very little comes up on e bay that has not been dinged, is missing the removable baffles (want to stay on good terms withneighbours) or does not require some kind of remedial action that the seller claims is cheap and easy to do (if so them why nor do it yourself before selling?). In desperation, I turned off the 'used' filter and stuck in £200 as max price. The search throws up quite a wide range in both stainless and carbon, starting as low as £130. Three brands in paticular keep coming up - Delkovic (poor mans Akra? ), MTC and Hawk (Pipewerx 'budget' brand). I like the look of the Hawk which also comes with a lifetime warranty. Does anyone have any experience or knowledge of the quality/performance/sound of these makes? Just say sod it and buy a Danmoto conical and fook the neighbours... mine love me !! Geewizz on here had a delkovic on his gen 1 on the great north west ride out...sounded amazing and looked sweet as. 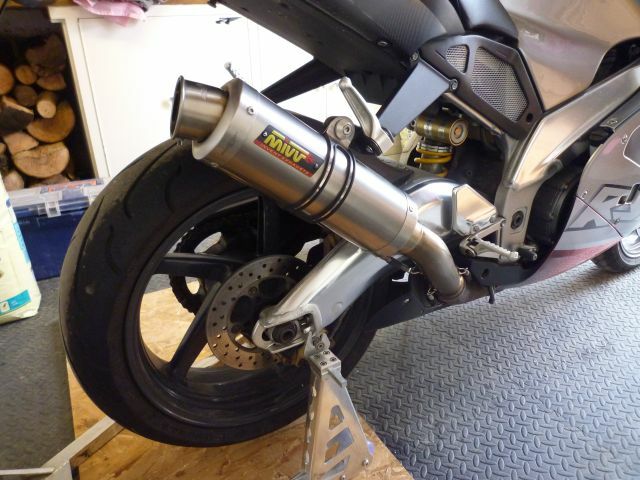 Oh and youve put exhaust in the title so nickyboy will be along very soon. Take a look on the extreme stainless site he has quite a few and the right price plus he will make and modify pretty much anything to fit anything.He is based in hixon staffordshire if this is anywhere near you. I have just had one custom made by this company for my triumph explorer. Brill company give them a ring he will sort you out. Ken. I had one of the GP cans from exteme Stainless. Very well made but oh so loud. Looked brilliant on the bike and would have kept it other than circumstances beyond my control. Ive got a luuuurverly little Ti Mivv now (thanks Steve).